Shearwater, the Mullumbimby Steiner School is in Arakwal Country, cradled by the green hills of the Byron Shire hinterland. Shearwater’s 52-acre site, which incorporates a biodynamic farm, is bounded by Mullumbimby Creek to the south and the changing face of Koonyum Range to the west. Shearwater has a colourful history. From its humble beginnings, in 1993, in the garage of one of its founders, to an extensive campus on the site of a former dairy farm, Shearwater has grown to a double stream K to 12 school of more than 650 students, with playgroups and a registered Preschool, as well as a working farm and Trade Skills Centre. 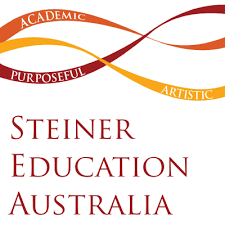 Shearwater is committed to the continued development of a flourishing school based on the teachings of Rudolf Steiner. We strive to honour the unique spirit of each child, creating a physical, social and spiritual environment in which to cultivate that child’s inner life of imagination, creativity and enthusiasm for academic challenge and physical activity. ​Teachers at Shearwater work with a deep and broad curriculum to create an educational environment that addresses the developmental changes of the growing individual; they strive to provide a balance in intellectual, emotional and practical education. The creativity and joyfulness of healthy children is encouraged through an artistic approach in all areas of the learning program. I place myself steadfastly into existence. With certainty I tread the path of life. These Five give me strength. Stay up to date! Subscribe to our newsletter.